At AAFX we offer BTCUSD (Bitcoin / US Dollar) as a cash CFD on the MT4 platform. Our cash CFDs are undated transactions that aim to replicate the cash price of the underlying instrument, and so they are adjusted for interest. BTCUSD (Bitcoin / US Dollar) is considered to be the most popular digital currency. Bitcoin is a cryptocurrency (also known as a digital asset) that was created in 2009. Unlike centralized banking systems, Bitcoin uses decentralized control thanks to its peer-to-peer technology that allows it to operate without any central authorities or banks. A core component of the Bitcoin is the blockchain, which serves as a public ledger of all transactions. No, you do not. When trading Bitcoin at AAFX, you are in essence speculating on the price movement of Bitcoin by trading on a Bitcoin CFD. You do not need to actually own any Bitcoins, and therefore you do not need to have a Bitcoin wallet. Can I short Bitcoin with AAFX? Yes. You can take a buy or sell trade on the BTC/USD pair or other BTC related pairs which may be offered in the future. What time is Bitcoin available for trading? Bitcoin is available for trading during normal trading hours, 24 hours a day, 5 days a week. To view the full details about the trading hours, click here. Can I trade Bitcoin on the MT4 and MT5 platforms? Bitcoin trading is available only on the AAFX MT4 platform. 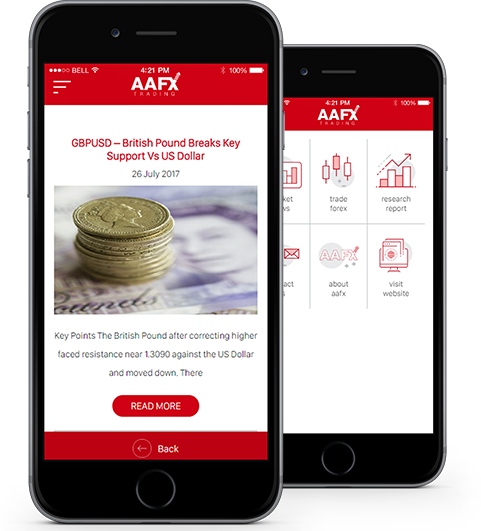 The AAFX MT4 will allow you to trade cryptocurrencies, forex, CFDs on stocks, oil and gold all from 1 trading account. One MT4 account will give you access to the whole AAFX MT4 family of platforms, including on Windows, as well as the MT4 WebTrader and apps for both Android and iOS devices. How to Start Trading BTCUSD (Bitcoin / US Dollar)? Double-click on BTCUSD (Bitcoin / US Dollar) from the “Market Watch” to open an order for this instrument.